To say we are excited about Chicago is an understatement. 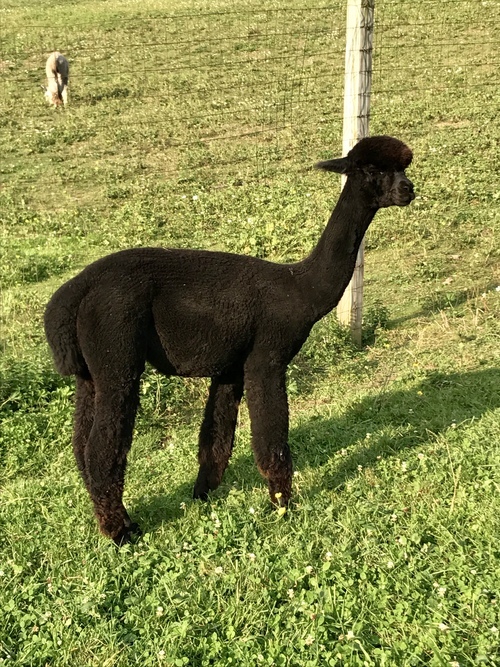 Besides his beautiful phenotype, and bright, dense, well structured fleece........his genetics are just not available in our area. Chicago is a compact male with very solid bone structure and a mighty fleece. The fleece is dense, fine, consistent and has amazing structure. 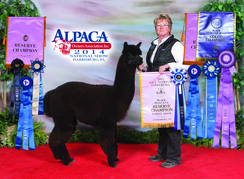 He finished his show career with Reserve Champion Banners in the Jubilee and the Gala at MAPACA 2018. 5C's Cover Girl and her current breeding represent 10 banners. This TB Contender (6banners) daughter has a beautiful true black fleece like both of her parents. Cover Girl has been a solid contender at her every show. Placing third isn't usually what we hope for but, given the competition, was actually pretty exciting. 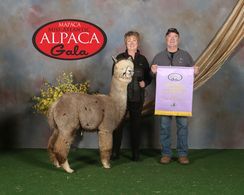 The judges have remarked about the beautiful brightness and consistency to her fleece. We expect this girl to be a solid foundation for us or some discerning breeder. Cover Girl has just been removed from our sales list. She's bred 5C's Chicago for a 2019 cria and due soon. 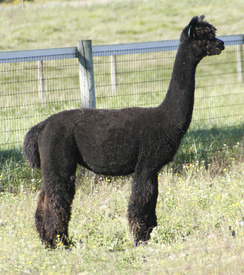 This will be our first cria sired by Chicago and we can't part with Cover Girl at this point. We think this combination is very exciting and anticipate a stunning cria.